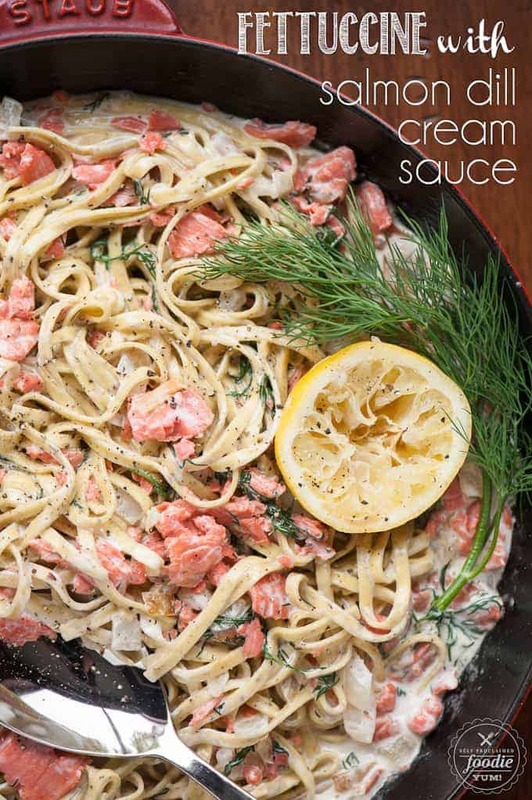 Fettuccine with Salmon Dill Cream Sauce made with smoked salmon, fresh dill, lemon and heavy cream is an insanely delicious and easy to make pasta dinner. I feel this post must start with a warning: This meal is dangerous. Why? 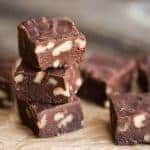 Well, not only does it taste absolutely heavenly, but it is super easy to make. But why would that be dangerous, you wonder. Two words: pasta and heavy cream. Well, technically that was three words. 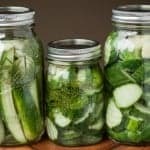 Is it good for your hips? No. But is it worth that minute on your lips? Most definitely. 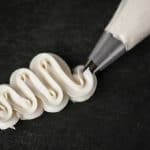 I first enjoyed this recipe at a pasta making class I took. It wasn’t a professional class at a culinary institute. As you might know, I’m a completely self taught chef and photographer and have learned everything purely through trial and error. It was one of those hands on cooking classes where you go with a date or a friend, make a few dishes, and get to eat what you make in the class. This happened to be a homemade pasta class and I’ve wanted some kitchenaid pasta rollers ever since. In fact, they’ve been not-so-subtly on my Christmas wish list for two years in a row now and he has yet to deliver. Hopefully third time’s a charm and I’ll get them this year! So, this class was originally going to be a double date for my husband and I and another couple. For some reason, that other couple had to bail out so it turned into a regular date for the hubs and I. Unfortunately, I got a horrible case of the stomach flu about five days before the class and subsequently couldn’t hold anything down that entire time. The first day I felt normal again was the day of this class, but by that time my husband was right in the middle of his stomach flu, but there ain’t nothing that will keep me away from freshly made pasta, so off I went! Fortunately, I was able to get my sister to go with me at the last minute. Unfortunately, four rounds of pasta courses at the tail end of the stomach flu weren’t as enjoyable as I had imagined it would be. On the bright side, they sent us home with the recipes and I was able to recreate everything at home once I was fully recovered! 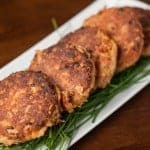 The reason this recipe was so amazing was because it used smoked salmon. Why had I never thought of doing this before? 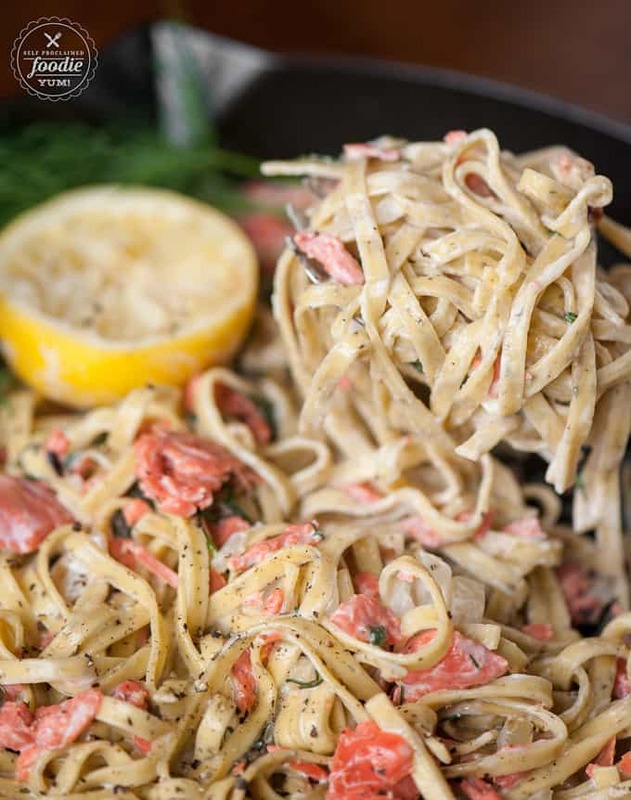 There are occasions where I make salmon and it turns out perfectly, but there have been plenty of times where I try to make a pasta dish like this and the salmon is either over cooked or the whole dish tastes too fishy. 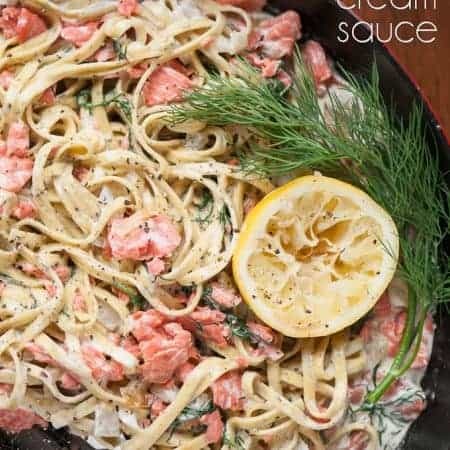 Using smoked salmon in a dill-filled lemony cream sauce like this is absolute perfection, and considering the whole dinner comes together in just minutes, your hips and thighs will be cursing you for ever finding this recipe! Cook the pasta in plenty of water until it is done. Consider not adding salt to the water this time, since the salmon sauce may be on the salty side. 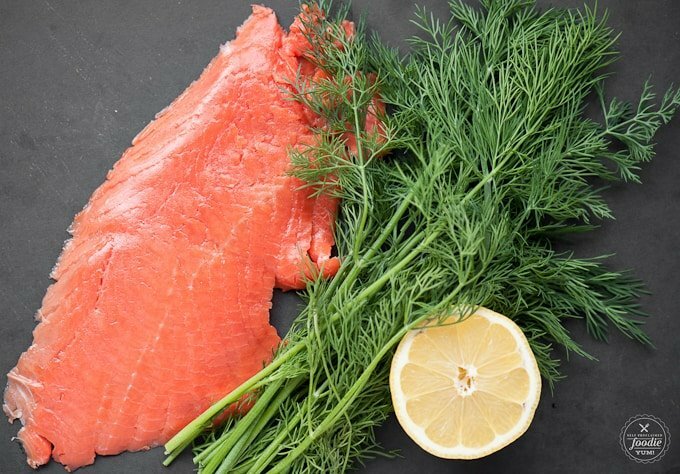 To make the salmon dill cream sauce, sauté the onion in butter over medium high heat until golden brown. 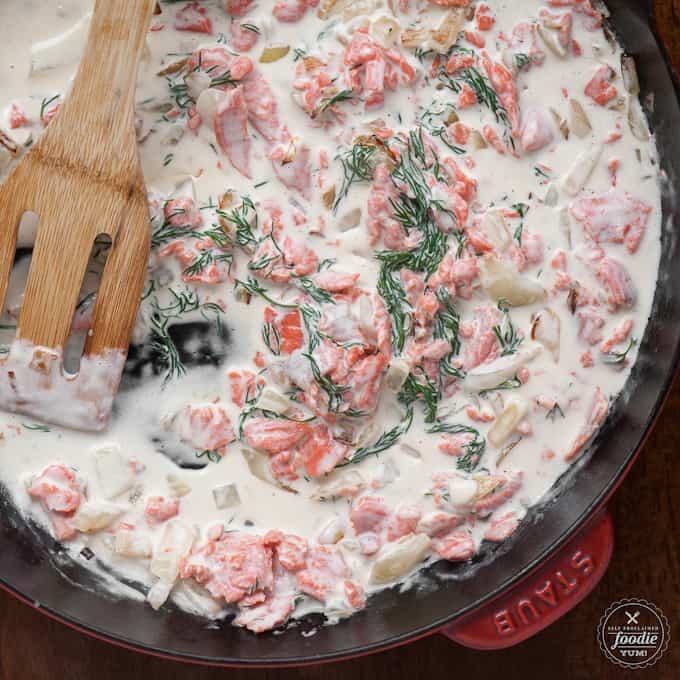 Reduce heat a bit and add the dill, salmon and cream. Gently heat until the cream is infused and stir until the salmon flakes. Add the lemon juice and stir. Gently toss the pasta in the warm sauce and voila! Ready to serve.